2013/2014 was a great academic year for me. Probably the best in my whole life. When I was in Spain, I was an average student: my grades weren’t bad, neither they were excellent. My overall average mark from secondary school was 7 /10 (C+/B-). I had 9s (As) in some subjects and I had 5s (Ds) in others. Nevertheless, I passed all of them and I was ready to start baccalaureate. However, just when I finished my last year of secondary school, I moved to England and things changed quite a lot. The educational systems in Spain and in England are very different, though I must admit, I prefer the English one, because there are more opportunities and a wider range of options of things you can do after secondary school, not just baccalaureate (the equivalent to A-levels). Not everyone is able to cope with the stress that exams cause, and having options such as coursework based subjects e.g. BTECs, or practical work based courses, e.g. apprenticeships, is really good. I don’t know if those options exist in Spain, but I can assure you everyone is normally forced or pushed into baccalaureate, and other career pathways are hardly promoted. In contrary, in England there are several ways to start up your career and there is a lot of emphasis on getting skills through work experience, placements and volunteering. I wish Spain had this emphasis too, because theory is as important as practice. Okay, I better go back to the main point of this post: 2013/2014. 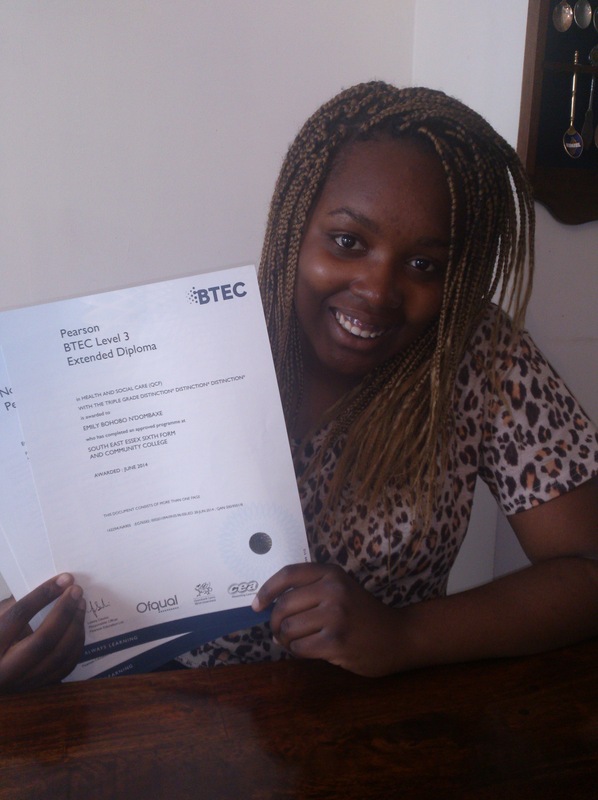 This was my last year in a BTEC Level 3 course, finishing my Extended Diploma in Health and Social Care. I ended up achieving D*D*D*, which is amazing! Although my desired career is not within the health and social care area, this BTEC will give me a lot of UCAS points for university (420), which is perfect, since most universities ask for between 240 and 360 points! Moreover, I did a total of 100 hours of work experience in two pre-schools during the course (which I loved by the way: I adore kiddies!) and I’m equipped with a lot of knowledge that allows me to find a job in every sort of health and social care settings. The diploma will be perfect to find a part-time job whilst studying in university and as insurance in case I can’t find a job with my degree in the future. 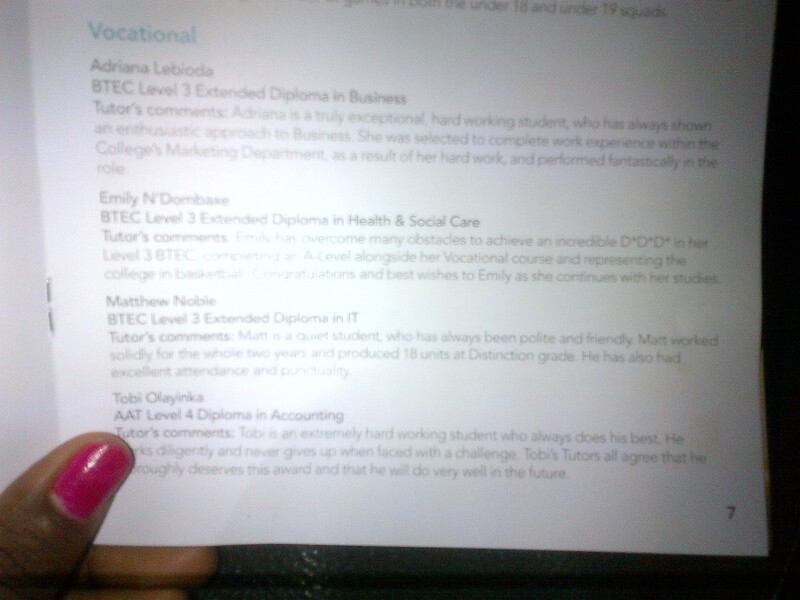 Apart from the BTEC, I also did AS Biology during 2013-2014. After my two exams in June, I entered in a state of anxiety for 2 months. I wasn’t very confident about my performance; the only thing that made me feel a bit confident and calm was the A in my coursework, as my biology tutor estimated. But the coursework was just 20% of the whole grade, so I couldn’t help but feel fearful till the 14th of August, the day in which I was given my exams results. I still remember my uneasy journey to college in the , alone in the bus, messaging my friends to find confidence somewhere. And I still recall my shock when I opened the envelope and saw “A” as my overall grade. 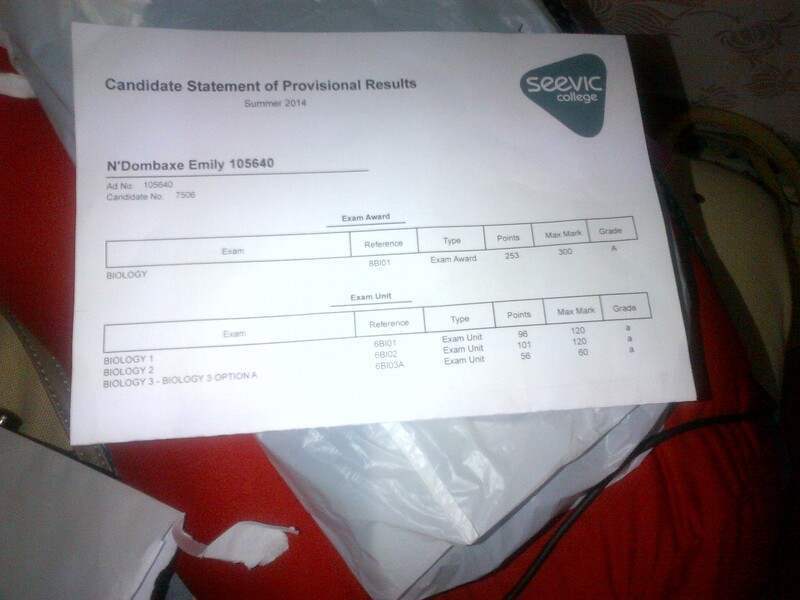 I started trembling because I couldn’t believe I had As in my two exams! The feeling of disbelief was soooooo real. Awesome, isn’t it? 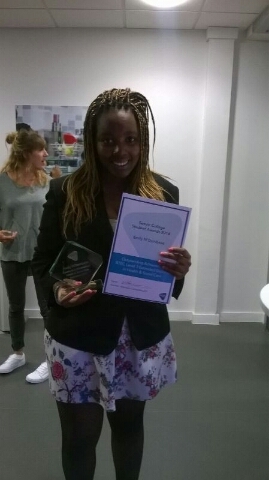 This is my first award EVER and I’m actually so proud about it. It is not about bragging or about being an excellent student: it is about overcoming a lot barriers during the last few years. You can’t imagine how difficult is moving of country at the age of 16, just when you have to choose your future and everything should be stable. It is even more difficult when you can’t trust people in your surroundings and you aren’t able to speak up for yourself. It is even more difficult when your confidence is nowhere to be found and you allow yourself to be manipulated for the interest of others. Getting an A in Biology ended those difficulties. 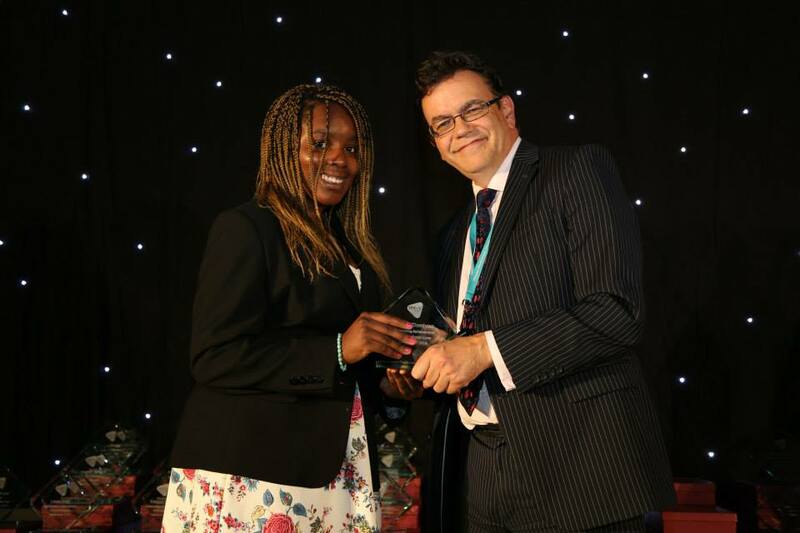 And receiving the outstanding achievement award reinforced my inner belief of being able to decide by myself what’s best for me. At the end of the day, I only do things for me: I stopped trying to make my parents and relatives proud time ago (if I ever tried). Everything I do (getting a job, having good grades, doing voluntary work, playing basketball), is for MYSELF (except for voluntary work, which is also to help others, but you know what I mean). Because this is my life and I will manage it. Since I was little, due to my “abnormal” upbringing, I knew I couldn’t rely on others in order to succeed and be happy. My childhood made me a very independent and autonomous person: I work perfectly on my own and I’m able to take care of myself. I’m not a family person and I like having my own space, which is why I can’t wait to start university and move away from home. And this explains why I have made a lot of effort in college, since my grades are my passport to university. Why Do I Love Bones So Much?